The Civil Aviation Administration of China (CAAC) ordered landing gear checks of MA60 turboprop aircraft following recent incidents. 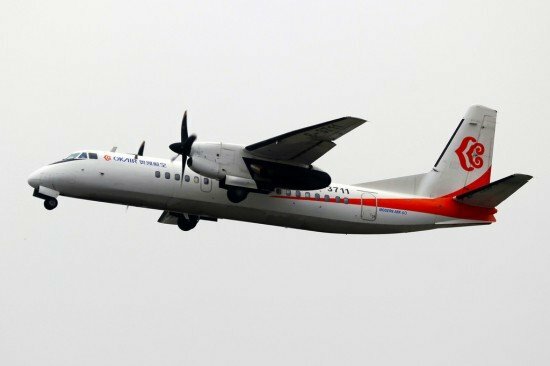 The Xian MA60, a Chinese manufactured 60-passenger turboprop airliner, was involved in two incidents in China in February 2013. On February 4, a Joy Air MA60 suffered a nose gear collapse on landing at Zhengzhou. Three weeks later, the crew of an Okay Airways MA60 aborted the approach due to unsafe gear indications. A safe landing was carried out at Shenyang. These incidents prompted the CAAC to issue three airworthiness directives (AD’s) on the issue. The AD’s call for a revision of the Airplane Flight Manual and an inspection of the undercarriage and gear annunciation system for all aircraft that have logged more than 6400 takeoffs.